This property was previously marketed at $55 million. Viewings are available appointment only. Evidence of the bidder's financial ability to close on the transaction is required on order to schedule an appointment. Appointments must be scheduled no less than three days in advance. The auction is subject to prior sale. Presenting a truly once in a lifetime opportunity to purchase a spectacular eco-friendly ranch tucked away in the gorgeous scenery of New Mexico, featuring striking mountain views, gorgeous waters, and luscious foliage. Developed by a visionary to create a retreat that embodies the true beauty of nature, this mecca of sustainable construction was designed as a beacon of the future. It was built for the adventurer, the artist, the entrepreneur, the visionary, and for anyone in search of paradise. Every room, every detail and every rock was planned with intention to create an oasis for you, creating an aura of the true American Southwest. 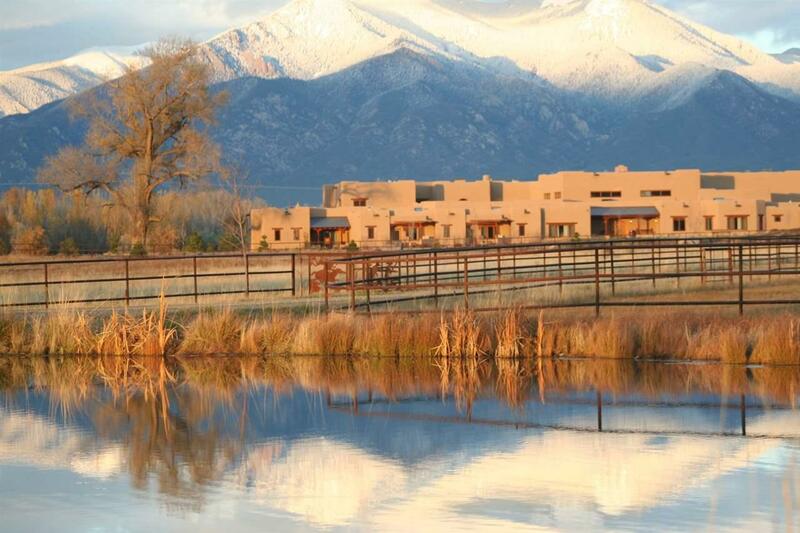 Nestled in the mountain of Taos, New Mexico, Blackstone Ranch is the perfect getaway. 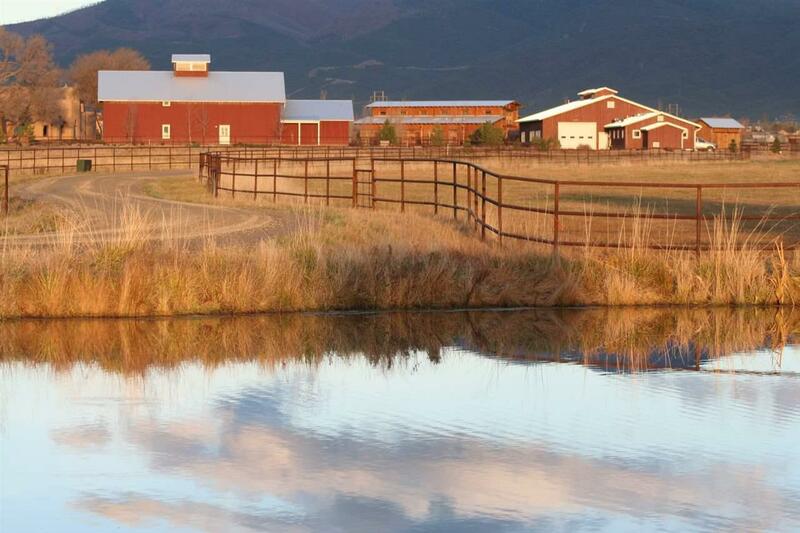 Spanning 190 acres, this modern ranch features 15 buildings, comprising nearly 70,000 square feet, including main house, guest house, 6 barns, greenhouse, and much more. HIGHLIGHTS From the Main House's beautiful custom moldings to the hand-crafted wood stairs in the barns, Blackstone Ranch is an impeccable example of hand-crafted art. Grand Entry Hall and Dining Room The entrance hall at Blackstone Ranch features authentic Southwestern details, featuring hand-crafted chandeliers, and invites you to enjoy a relaxed holistic lifestyle. Each room is custom designed and furnished in detail. You'll never know what will surprise you next. The dining room can easily be converted into a dining hall fit for 150+. You can dazzle dinner guests as well as host a smaller more intimate holiday party. Farmer's Kitchen Blackstone Ranch is sustainable living at its finest. Beautiful orchards and a luscious greenhouse make it easier than ever to enjoy fresh eating year-round. You can harvest everything from apples to zucchini in the gardens. 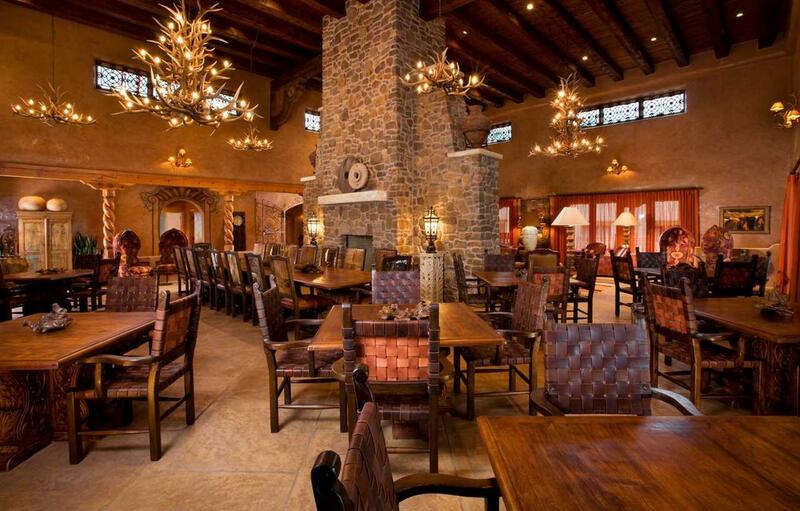 Guest Houses With private patios overlooking the gorgeous New Mexico landscape, it's the perfect gathering place for family, friends or business clients. Guest houses feature gorgeous furnishings, stunning architecture, wood beam ceilings, and lovely living rooms. Barns The Blackstone Ranch barns are beautifully constructed with hand-crafted, custom designed wood. The two barns on the property include a horse barn and a livestock barn along with accompanying maintenance sheds. The barn is large enough to accommodate large livestock with ample maintenance and storage space, all designed for sustainable living. 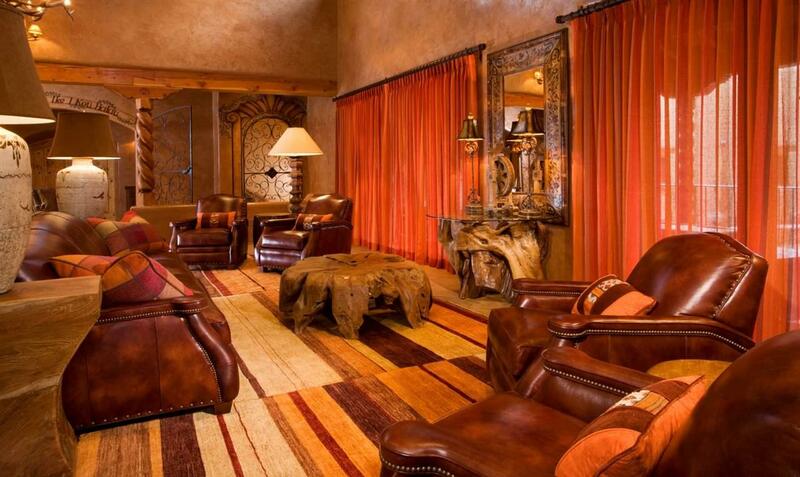 Blackstone Ranch is a distinctive legacy property designed for the most discerning of tastes. The 190-acre ranch, built in 2004, is an impeccable example of hand-crafted extravagance with no expense spared for this truly one of a kind property. The ranch offers an enlightening lifestyle experience far beyond any typical residential estate, luxury vacation or corporate retreat. Fifteen (15) buildings dot the estate, nestled in the beautiful New Mexico mountains with breathtaking views during every season. Indeed, something extraordinary is callingwho will answer? Listing provided courtesy of Paramount Realty Usa: 312-953-9534.